Hello sweeties! I’ve definitely acquired the winter viral crud that’s going around, so my creativity for this last NCC look is a bit lacking. I saw Love Varnish’s recent post in which she did a beautiful splatter manicure, and I wanted to try her technique out. I’ve always had difficulty doing splatter manis, so I was eager to try out some of Deborah’s suggestions. Deborah recommended using a shorter straw, so I cut down a straw until it was about 2-3 inches long. And it made such a huge difference! It used to take me multiple attempts to even get the polish to leave the straw, but this was quick and easy. Closeup of my favorite nail! I think of this as either splatter wallpaper OR a wall that someone has thrown paint over to cover ugly red wallpaper. Index, Middle, and Ring Finger base color: Julep Maryam… this polish looked so much nicer in the bottle. It’s a deep burgundy red with golden shimmer throughout, but when it’s on the nail the golden shimmer falls flat and it ends up looking like a muddy brick red. Shame – it could have been so pretty! Essie Strut Your Stuff… this is a gorgeous bright blue that leans slightly turquoise. It stains like crazy, but it’s so pretty. Essie Good as Gold… a perfect metallic gold. Pinky & Thumb: Blue-Eyed Girl Lacquer Bound to the City Life… this is from the new Spark in the Dark collection, and I am so happy I picked this one up! It’s a beautiful dark teal jelly that has multicolored microglitters throughout, giving it depth. I only had to use two coats for opacity. It does photograph a bit more royal blue, but in real life it’s a mix of royal blue and dark teal. I love it! It’s another winner from BEGL! What do you think? Do you have any other suggestions to make splatter manis easier? This entry was posted in Nails and tagged begl, begl bound to the city life, beglove, blue eyed girl lacquer, blue eyed girl lacquer bound to the city life, essie, essie good as gold, essie strut your stuff, julep, julep maryam, manicure, nail art, nail challenge, nail challenge collaborative, nail polish, nails, splatter manicure, wallpaper manicure on January 26, 2015 by doctorcrafty. Happy Monday sweeties! I’ve gotten so used to vacation, I’m not ready to go back to work! But girl’s gotta make a living right? Anyways, on to the nail art! 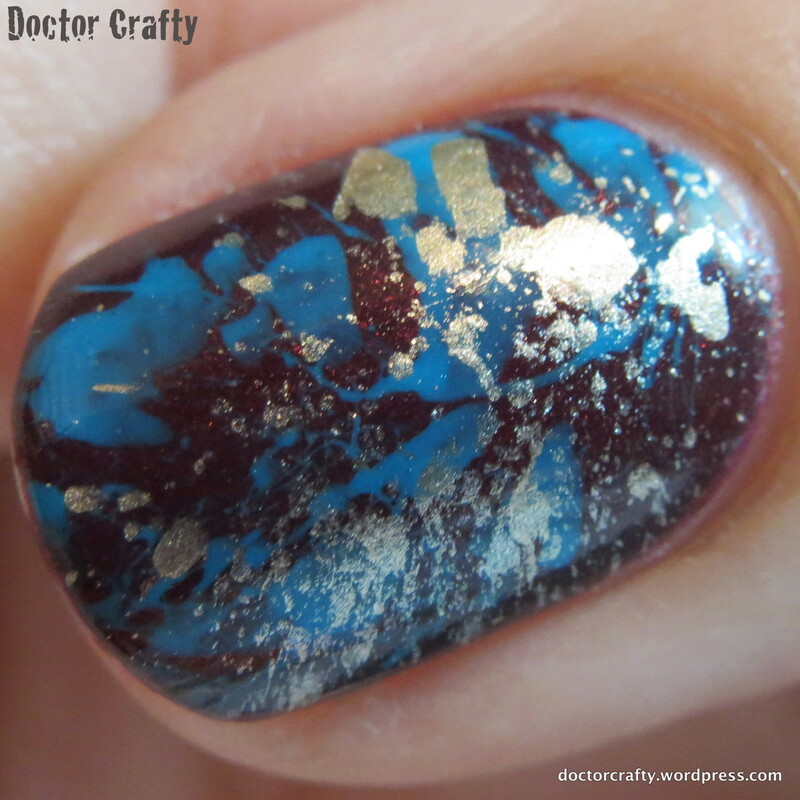 This month’s Nail Challenge Collaborative theme is wallpaper. This was initially super intimidating to me because all I could think about was tons of intricate detail work, and I’m definitely still working on my detail work. But hey, it’s a new year and I’d love to improve my freehand skills! I figured I should show the mani fails along with the great ones. You can’t improve if you don’t try and fail every now and again! 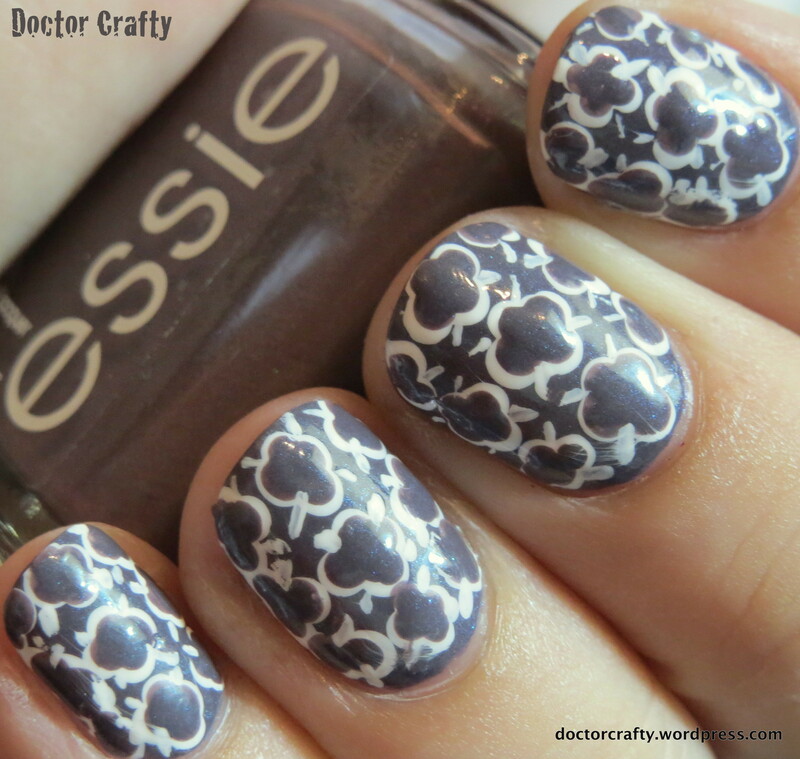 I really wanted to use a new polish I picked up from Target, Essie’s Coat Couture. It’s from the new Cashmere Matte collection, and it’s just gorgeous. But it’s a satin-matte, and I should have known better than to try to do nail art with that texture again! It’s always so much more difficult since it dries super quick. But the polish itself is fantastic. 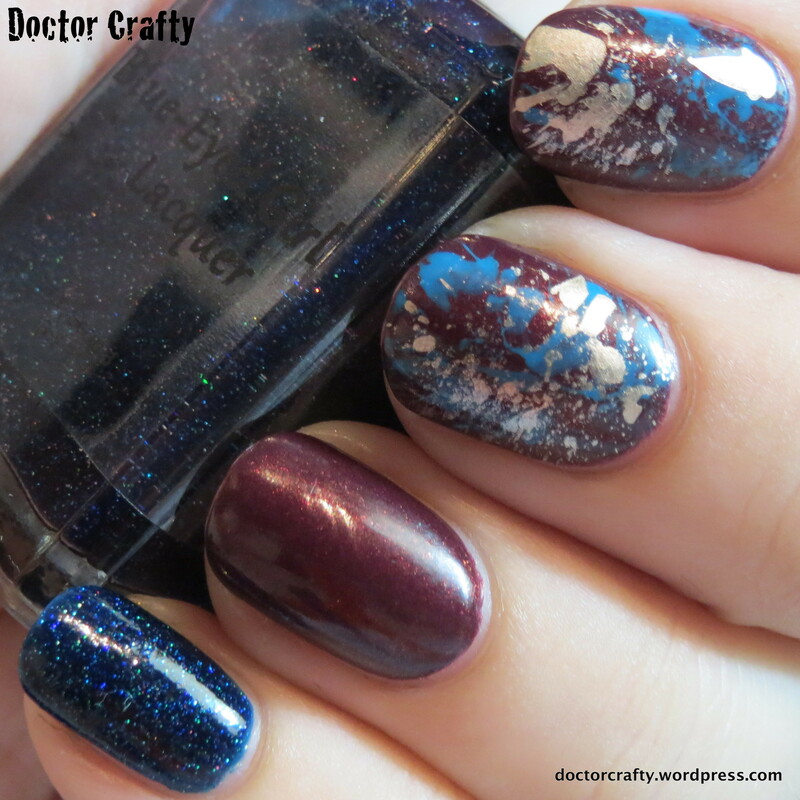 It’s this beautiful mauve/ dusty purple/ brownish-grey with blue shimmer – LOVE! And I used Rica’s Whiteout as the accent. This is my go-to white for any nail art since it’s the most opaque white polish I own. I’m starting to get low on my bottle, so it’s almost time for a repurchase! Anyways, even though this is far from my best work, I’m happy I tried the design. 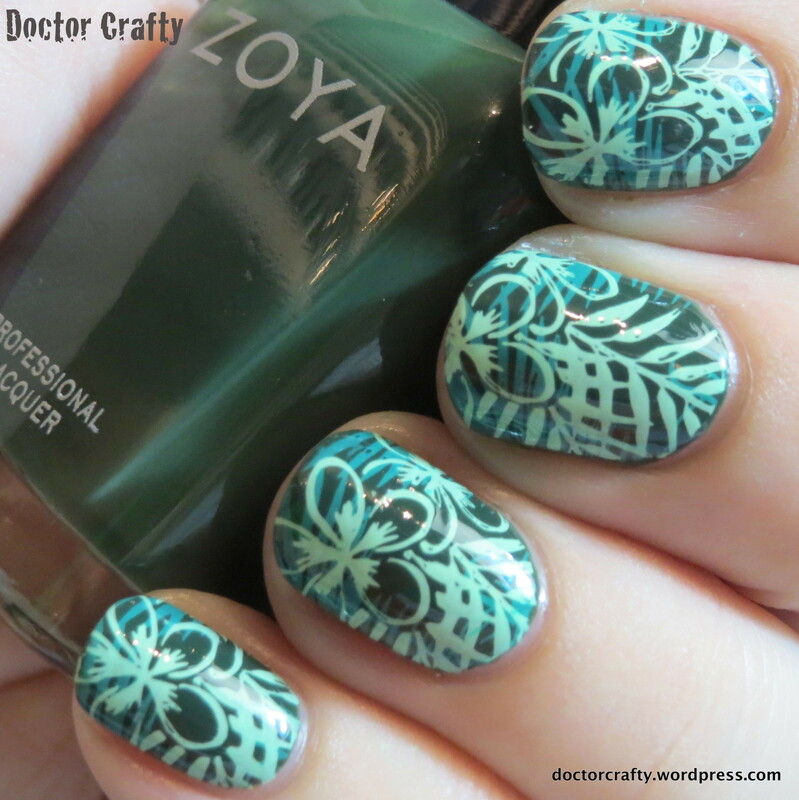 I think if I use a different (non-matte) polish and work on my dotting and striping skills, this could look much better! What do you think? Do you have any nail-related resolutions? 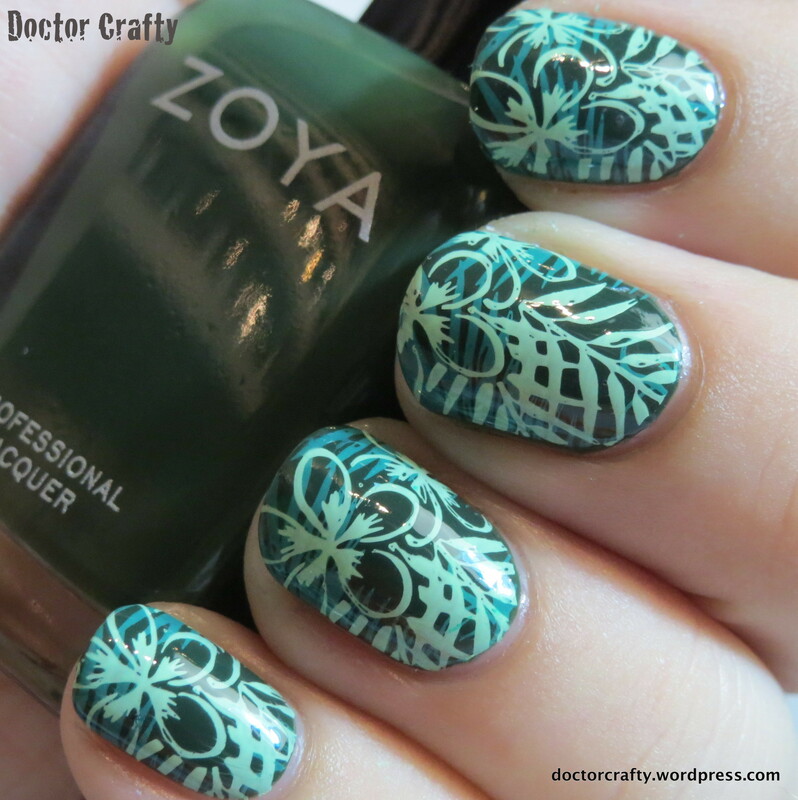 Have you tried this quatrefoil design before? 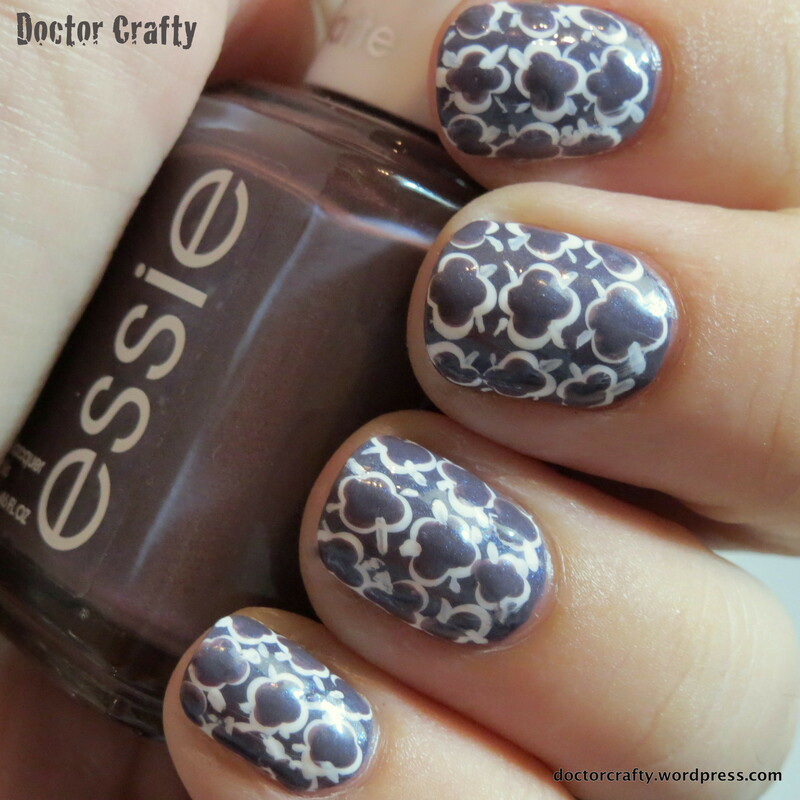 This entry was posted in Nails and tagged dotting, essie, essie coat couture, manicure, matte, nail art, nail challenge, nail challenge collaborative, nail polish, nails, quatrefoil, quatrefoil manicure, rica, rica whiteout, wallpaper design, wallpaper manicure on January 5, 2015 by doctorcrafty.